I try use ERC223 token and I want understand how is it work. I use recommended realization of this standard Dexaran This is code of ERC223 token. * @title ERC223 standard token implementation. mapping(address => uint) balances; // List of user balances. * @dev Transfer the specified amount of tokens to the specified address. *      Invokes the `tokenFallback` function if the recipient is a contract. *      or the fallback function to receive funds. * @param _to    Receiver address. * @param _value Amount of tokens that will be transferred. * @param _data  Transaction metadata. *      but doesn't contain `_data` param. *      Added due to backwards compatibility reasons. * @dev Returns balance of the `_owner`. * @param _owner   The address whose balance will be returned. * @return balance Balance of the `_owner`. 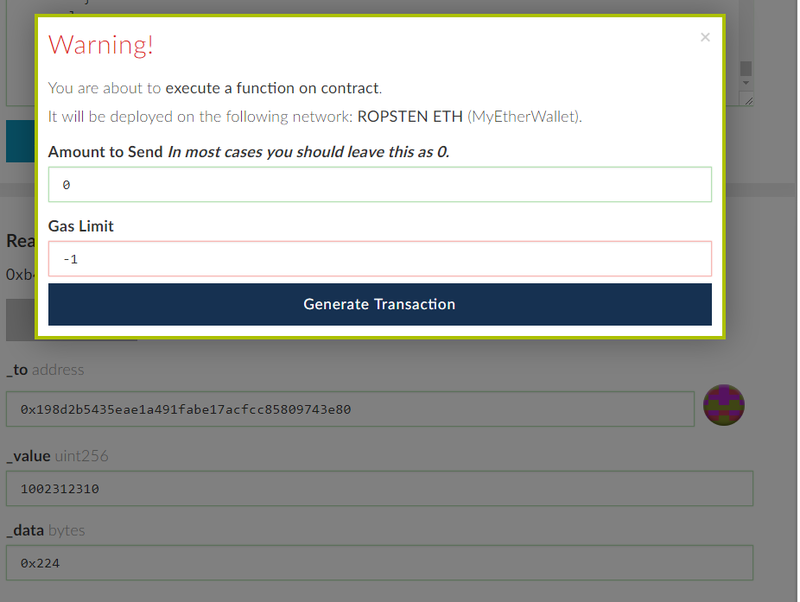 How can I fix bug with trasfer tokens on contract from contract? What should data I pass in _data bytes when I call tokenFallback? It didnt work because I didnt pass correct arguments. In receiver.tokenFallback(msg.sender, _value, _data) I must to pass zero instead emty or msg.value. Not the answer you're looking for? Browse other questions tagged solidity tokens myetherwallet erc-223 or ask your own question.